Tropical islands, pure-white sandbars and the third largest coral barrier reef in the world: the natural beauty of the Florida Keys has been enticing travelers for generations. The Florida Keys are a seemingly never-ending coral cay archipelago that divide the Atlantic Ocean from the Gulf of Mexico 120 miles off the southern tip of Florida. The Keys, which are just 90 miles by sea from Cuba, have a culture all of their own. Laid-back, creative and culturally diverse, life in the keys runs only on island time. Spend your days on the islands diving in a washed-out, sun-faded landscape, splashing in sparkling shores of sandbars, adventuring in the sticky heat of the mangroves or simply kicking back and relaxing in the tropical temperatures. The archipelago is home to some stunning underwater landscapes across the 1,700 islands, and there are scuba diving opportunities aplenty with a diverse marine life thriving around the protected reefs. 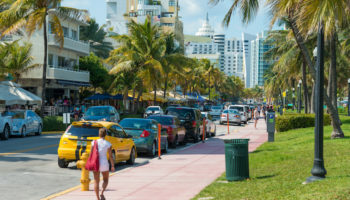 Take the exciting route to the Keys and drive along the famously scenic Overseas Highway and then use your car to travel around the islands at your own pace. 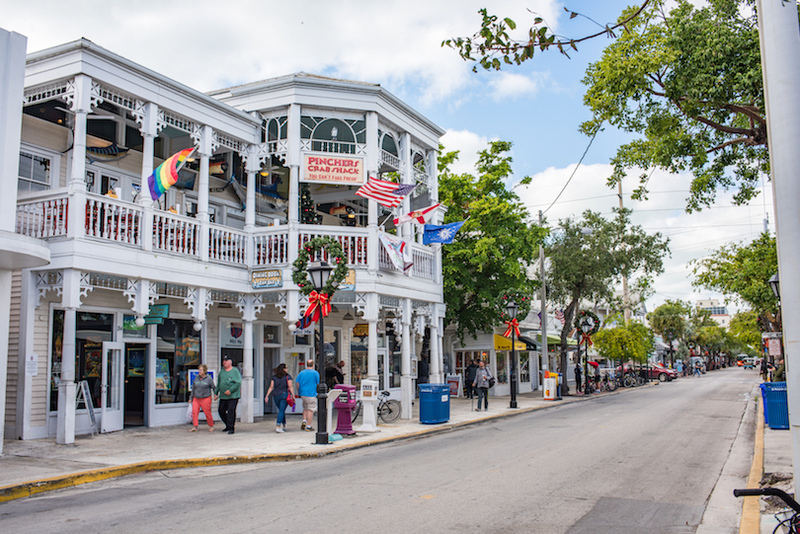 At just 4 miles long and 1 mile wide, laid-back Key West is the epitome of island lifestyle. 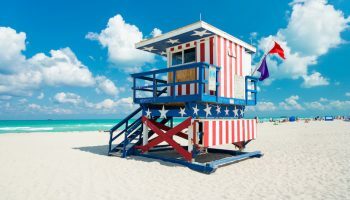 Artistic, quirky and fun, Key West has long been a haven for those looking to take a break from the everyday and spend time relaxing and enjoying life. 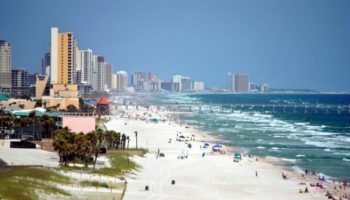 The tropical island offers visitors the chance to kick back, so you can spend your time wandering the interesting neighborhoods and sipping iced coffee in charming cafes, or sunning yourself on the beaches. You can even go out on the water fishing. It’s easy to travel around the island – grab yourself a bike and see the sights by pedaling around the quiet streets, or take the bus or tram. Home to the southernmost point in continental USA, accommodation on Key West usually always has views of the sea. For a budget night’s sleep, you could opt for camping at one of the island’s campsites; there are some reasonably priced mid-range guesthouses on the island too, along with some more expensive resorts to choose from. Margaritaville Key West Resort – With fantastic views over the water and its location in the center of the Old Town (plus just three minutes from Mallory Square), this upscale resort is a fun and friendly place to stay. Rooms are spacious and boast private balconies and large windows – simply perfect for watching the boats pass by on the water outside. The outdoor pool here is accompanied by an open-air bar and there’s also a very chic restaurant on site, which welcomes diners from outside of the hotel for a lively atmosphere. The Marker Waterfront Resort – A mere nine minute walk from the food, drink, and entertainment at Mallory Square, The Marker Waterfront Resort was built in 2014, meaning a modern stay is what you can expect at this 4-star hotel. The staff here are friendly, there’s a decent pool for guests to use, and the rooms – including the bathrooms – are spacious. There’s more food and drink to be had just on the doorstep of The Marker, making it great for anyone wanting to explore Key West further. Chelsea House Hotel – The best thing about this 3-star offering is the fact that it’s set over three beautiful period houses, making it great for anybody who likes to stay right in the middle of a town’s heritage itself. The Victorian era lodging comes complete with simple furnishings; some rooms have four poster beds! The garden here is wonderfully shaded and comes complete with its own heated pool. When you can tear yourself away, the lively Duval Street is only a three-minute walk from the Chelsea House Hotel. 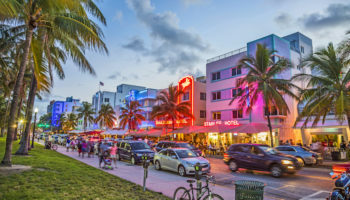 Truman Hotel – Bold, modern rooms decorated with marble are the order of the day at this 3-star offering, which also comes complete with a picturesque poolside area shaded by palm trees. Some rooms here come with balconies, so you can get some fresh air from the privacy of your own room, whilst suites feature a lounge. Parking is available at the Truman Hotel; it also boasts a complimentary continental breakfast for guests. The Ernest Hemingway House, an icon of the town, is just a three-minute walk away. 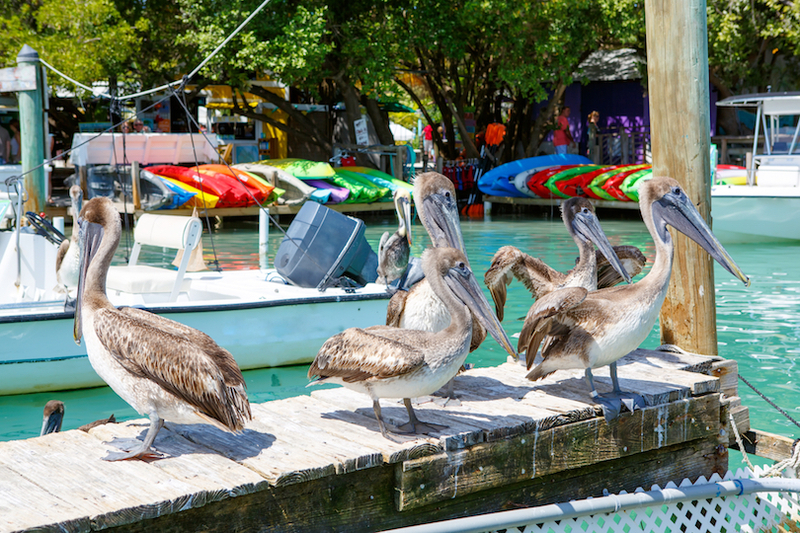 If you’re looking for an island paradise and the chance to do a spot of diving, then look no further than Key Largo. Home to a depth of nature, visitors to the island can enjoy a huge range of activities from fishing and kayaking to hiking in the national park. 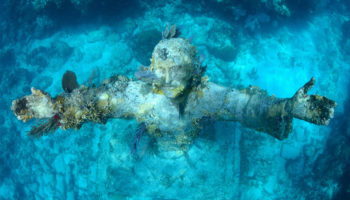 The crystal clear water just off of the coast of Key Largo, in the Florida Keys National Marine Sanctuary, boasts the world’s largest artificial reef which is a big draw for keen divers. The tropical island is has a large Cuban population, and as such you can take the chance to try out some traditional Cuban cuisine in restaurants with stunning sunset views. Stay in Key Largo at one of the island’s many beachside resorts which offer everything you will need so you can sit back and relax. For accommodation on a budget you can opt for a family-run inn. 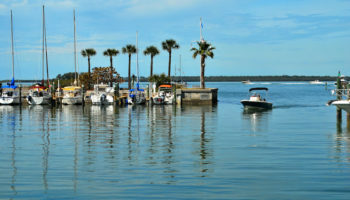 Hampton Inn Key Largo – Stay in this hotel and enjoy all the fun of being on the beach in the center of the area. The low-key, neutrally decorated rooms are comfortable and clean – some even come with sea views. The hotel has touches of tropical style throughout and makes for a relaxing spot for a beach break. You can laze under the shade of the palm trees with the sand between your toes at the small beach, swim in the hotel’s outdoor pool, or even rent a kayak and go off adventuring. The hotel is just a five-minute stroll to top attractions like Dolphin Cove. Marina Del Mar Resort – A hot tub and a heated swimming pool (complete with tiki bar) await you at Marina Del Mar Resort and Marina; hinted at by its name, this 3-star hotel is actually located on Key Largo’s largest deep-sea marina, meaning there will be plenty of opportunities for getting out onto the open sea yourself. Rooms here feature amenities like coffeemakers and mini fridges, whilst if you go for a suite, you’ll get a balcony with prime views. Arriving by boat? You can pay for overnight dockage at the marina. Atlantic Bay Resort – Located on its own private beach, staying at this resort means unwinding right in the peace and quiet of nature. Decorated in a tropical waterside theme, rooms here are like spacious beach houses and feature their own patio space, which really allows guests to enjoy their own privacy. This is an excellent choice for people who would like to make their own meals, or who are traveling with children, as some rooms come complete with fully equipped kitchen. There’s also an outdoor pool to cool off in, as well as a waterside bar. Located in the Middle Keys, Marathon stretches for ten miles and is a great choice for a family-friendly getaway. The island has a welcoming local community and a wealth of amenities to make your stay comfortable. 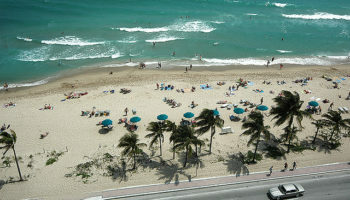 Spend your time under the shade of the trees at Sombrero Beach and swim in the safety of the roped-off area of ocean. You can also try out all sorts of watersports during your stay on Marathon, or take a visit to the turtle hospital where you can learn about wildlife conservation in the Keys. It’s a good idea to rent yourself a car so that you can travel around the island easily and discover local restaurants serving freshly caught seafood as the sun sets. There is a huge variety of accommodation in Marathon: you could choose to stay in a floating house in the marina or at one of the family-orientated resorts with tranquil sea views. 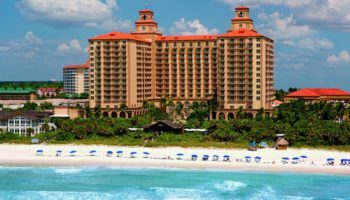 Tranquility Bay Resort – A true slice of old-world luxury, this 4-star resort is all kinds of classic when it comes to decor: Tranquility Bay Resort is spacious, whitewashed, filled with beautiful furnishings, and elegant design details. Stay in one of the simply opulent rooms in the hotel or opt for your own 2 or 3-bedroom beach house. Amenities include a grill area, a Mediterranean cafe and a beach bar. You’ll be just over a mile from the green space of Marathon Community Park if you stay here. 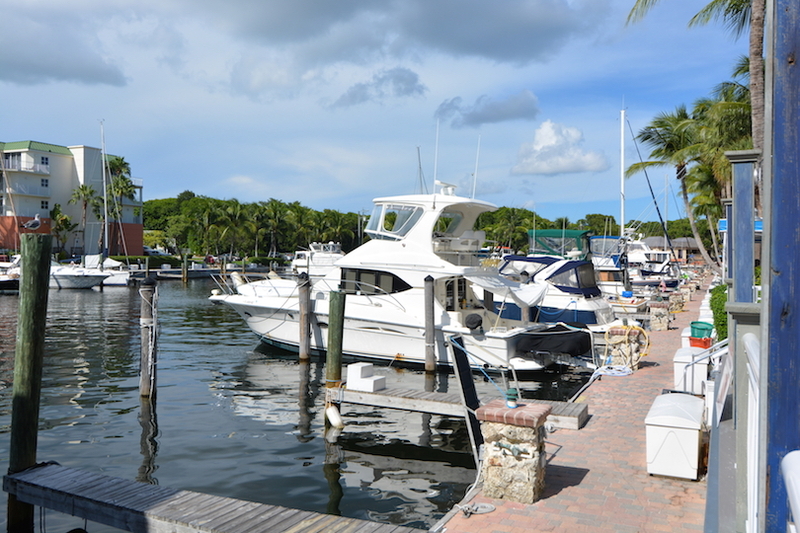 Captain Pip’s Marina & Hideaway – Sat right on the water’s edge, this place really is a little hideaway where guests can really get into life in the Keys. There are plenty of opportunities to hit the water by renting a boat or going on a snorkeling trip, or just simply whiling away the hours by fishing from the hotel’s dock. Rooms come with everything you need to make your stay run smoothly (including a kitchen) and the helpful staff will be more than happy to supply you with beach towels and equipment. Translating as Island Home, Islamorada is consists of six islands: Windley Key, Plantation Key, Indian Key, Upper Matecumbe Key Lignumvitae Key and Lower Matecumbe Key.. These beautiful locations have been labelled as a village of islands, and are known for their depth of marine wildlife with people drawn to the area to explore the many reefs. Islamorada is also popular with keen anglers as there is a wealth of fish to be caught just off the shore. Hiring a car is essential if you want to see all of what Islamorada has to offer, but you can also try out hiking the tropical trails at Long Key State Park. With so much of Islamorada surrounded by water it would be hard to find a hotel without views of the ocean. There’s a wide choice of resorts to stay in, from mid-range to high-end, most of which have their own pools and restaurants. La Siesta Resort & Marina – An unfussy hotel with ocean views, La Siesta Resort & Marina is a great idea when it comes to those holidaying to Islamorada with their family: it consists entirely of suites, meaning that there will be plenty of space for you all, as well as facilities like kitchens so you can cook your own meals. You’ll also never get bored here, since fishing rods, and kayak and bike hire are included in the nightly fee. 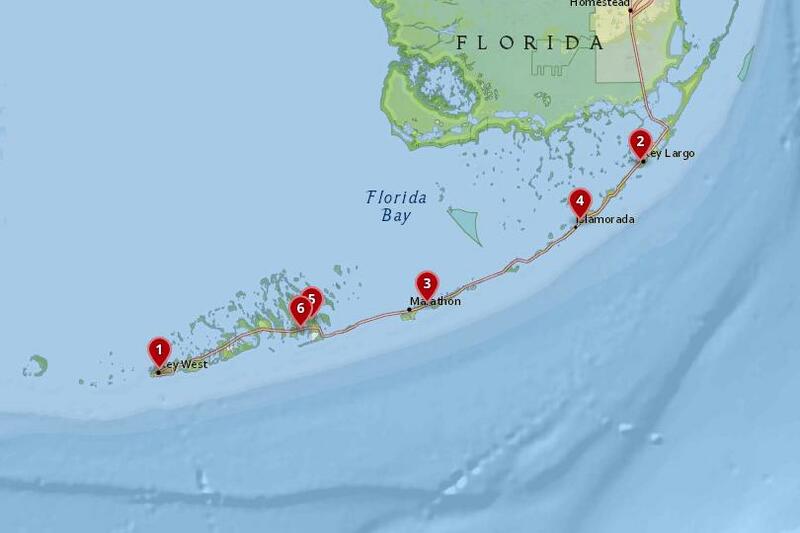 It’s right next to the Overseas Highway, meaning it’s perfect if you’re on a road trip. Amara Cay Resort – The modern and contemporary style rooms at this resort hotel have been recently renovated for extra added comfort. Each room is decorated with an island theme and feature balconies that overlook the water. There’s also the option to choose a room with a kitchen, which is very convenient, but the hotel’s Italian restaurant serves up very delicious dinners, as does the poolside bar. Kick back in a hammock on the private beach; or you can have an adventure by taking out one of the hotel’s bicycles, kayaks, or paddle boards. Easygoing Big Pine Key is the place to come and kick back. Named after the pines that grow on the island, it is home to the beautiful Bahia Honda State Park. Take some time out on the island and enjoy sunbathing, snorkeling or swimming in the enticing crystal clear waters around Big Pine Key. 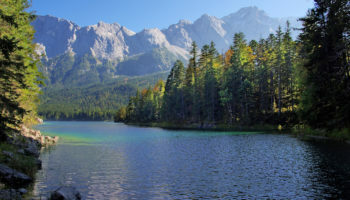 If you fancy being more active, there’s a wide range of watersports to try – or you could hike around the Blue Hole, a former limestone quarry turned freshwater lake with attractive natural scenery. Or you can add a dollar bill to the walls of No Name Pub, a popular pub and eatery that is often the first stop for road trippers making their way to Key West. The island is also famous for its large population of Key Deer that have dwarfed in size after many generations of living in the keys. 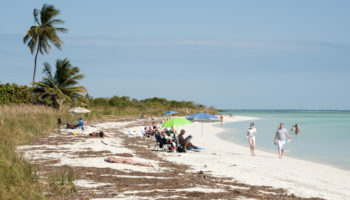 Accommodation on Big Pine Key can be more affordable than on many of the other Keys, with camping and lodges available, but you can also choose from one of the secluded sea-view family’s resorts. The Barnacle B&B – The Barnacle B&B is a laid-back sort of place that’s all kitted out in Caribbean style decor, meaning bright colors and eclectic ornamentation in the homely rooms. With free kayak and bicycle hire, you’ll be able to get out and explore the area very easily. This cool place to stay comes with its own private beach, tiki hut and BBQ area; plus, there’s great snorkeling to be had at Bahia Honda State Park, just five miles away. The small island of Little Torch Key is charmingly local, with a friendly atmosphere that’s ideal for couples looking for a relaxing getaway. There are a handful of shops and restaurants for visitors to choose from and the other more populated Keys are an easy car journey away. This is the island to choose if you are looking for peace and quiet away from it all. And nearby diving opportunities are aplenty at the Looe Key National Marine Sanctuary. If you want to stay in the Florida Keys in a slice of romantic solitude you can catch the boat over to Little Palm Island and stay in the enchanting resort – the only problem is, once you sink into your hammock, it will be hard for you to go anywhere else. Parmer’s Resort – There are unpretentious rooms on offer at Parmer’s Resort – which come complete with balconies (or patios) – as well as waterfront cottages that feature full kitchens, meaning you get to keep costs low and cook yourselves a feast. More value for money at this Little Torch Key resort comes in the form of complimentary breakfast and free parking; plus, it’s also just half a mile from the Overseas Highway, meaning if you’re arriving by car this is a great choice. There is a place in Tavernier Florida in the Keys Between Key Largo and Islmarado called Ocean Oasis at Ocean Ponite that is a hidden gem. Just Google the name for more information. Its South of Civilization as we know it. I lived on Fiesta Key at mm70 from 1995-1997. It’s a 28 acre island paradise. Store, marina, restaurant/lounge… no need to even think about the real world.